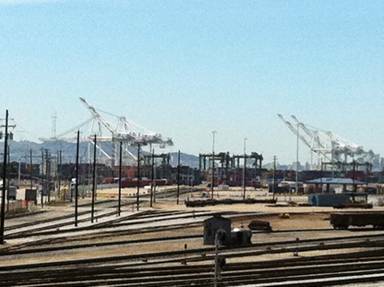 Dockworkers sued for rank and file action.Drop the lawsuit! HANDS OFF ILWU LOCAL 10! We are coming together to defend the rank and file of Local 10, who took voluntary solidarity action on April 4, to support workers in Wisconsin and 15 other states facing attacks on collective bargaining and cuts to social services. Their action took place on the 43rd anniversary of the assassination of the Rev. Dr. Martin Luther King, Jr., an honorary member of Local 10. The labor movement is under attack from Wisconsin to California and from New York and Ohio to Arizona . And we’re beginning to fight back. On April 4, when working people across this country demonstrated in solidarity with the Wisconsin state workers, the rank and filers of ILWU Local 10 did what they’ve always done, implemented their union’s slogan, “An injury to one is an injury to all.” No cargo moved in the ports of San Francisco and Oakland – in solidarity with the workers in Wisconsin . Now the employers’ group, the Pacific Maritime Association, is trying to put an end to workers’ solidarity actions by intimidating the union through a court suit. Their bullying tactics must be stopped. ILWU Local 10 rank and filers and the San Francisco Labor Council are organizing a broad defense campaign. Last week 100 labor, community and social justice activists came together to form a Labor/Community Committee to Defend ILWU Local 10. The defense campaign kicks off on Monday, April 25th with a mid-day MASS RALLY at PMA’s San Francisco headquarters, 555 Market Street , to tell the employers: Drop the lawsuit! Hands off the ILWU! Oakland, April 4, 2011 – The power of workers to bring production to a halt was on dramatic display April 4, when longshore workers of ILWU Local 10 shut down the ports of Oakland and San Francisco for 24 hours, in solidarity with the heroic struggles in Wisconsin . The ILWU hiring hall was practically deserted at dispatch time for the night shift, leaving several hundred jobs unfilled. 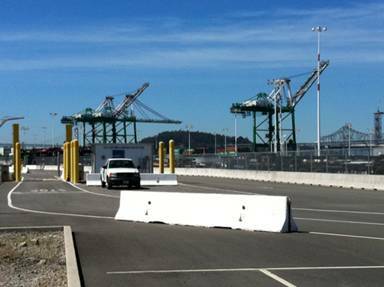 The dock workers stayed away, and no cargo was worked on any shift Monday in Oakland or San Francisco . The rank-and-file-initiated shutdown was part of nationwide actions on April 4 to challenge the draconian budget cuts and union busting in Wisconsin and other states. “It is significant that the action by Local 10 was taken in solidarity with Wisconsin public sector workers who are facing the loss of collective bargaining,” Thomas said. He pointed out that April 4 is also the anniversary of the assassination of Rev. Martin Luther King Jr. – who was killed in Memphis fighting for collective bargaining for sanitation workers in that city. 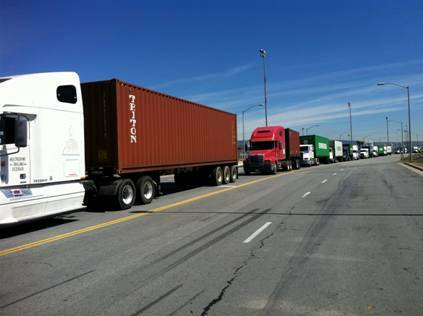 It is not surprising that the 24-hour port work stoppage came out of International Longshore and Warehouse Union Local 10, a racially diverse, predominantly African American local and the home local of legendary labor leader Harry Bridges. Martin Luther King was named an honorary member of Local 10 six months before he was killed. We need you to rise to the defense of these dock workers when they’re under attack. They are the one union that has always practiced solidarity with others. This entry was posted in AFL-CIO, Black workers, Class Struggle and tagged buisness unionism, California state workers, class struggle, ILWU, public unions, public workers, Wisconsin, workers/labor party. Bookmark the permalink.